SURPLUS: With most Rhode Island hospitals experiencing a decline in patients since 2006, and falling demand for inpatient services, the state has a surplus of hospital beds. 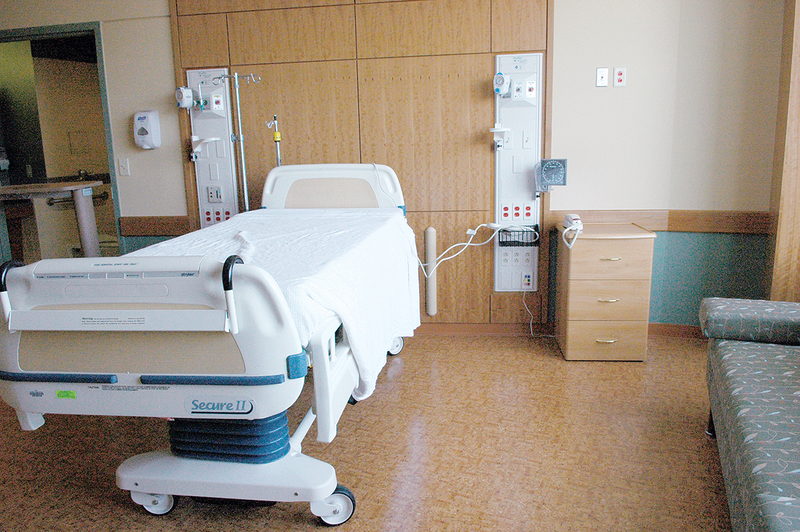 Shown above is a patient room from The Miriam Hospital in Providence, part of the Lifespan hospital network, which has seen a trend-bucking uptick in demand for hospital beds. / COURTESY ­LIFESPAN CORP.